Ecuador is a mountain biker’s paradise and you’ll find a feast for the senses at every turn of the pedal: from the immense grandeur of the Andes, to the depths of a tropical cloud forest, and the slopes of one of the world’s highest active volcanoes. 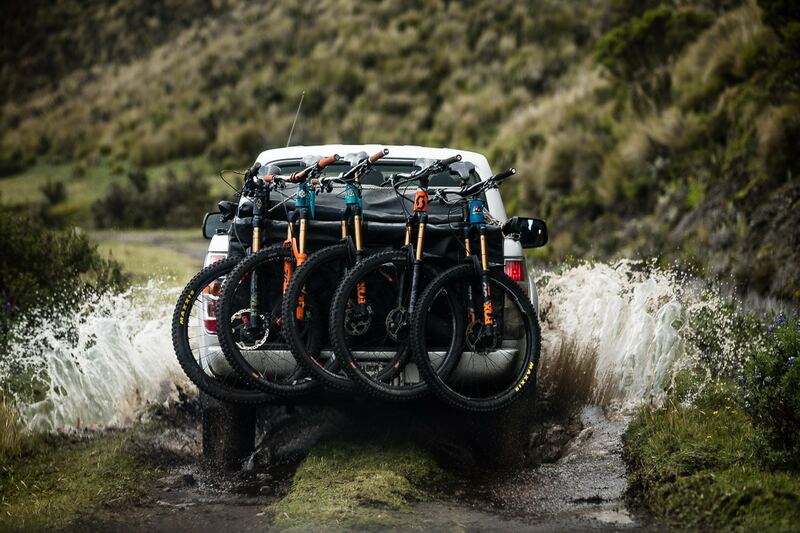 There’s never a dull moment on our mountain bike tour Ecuador! 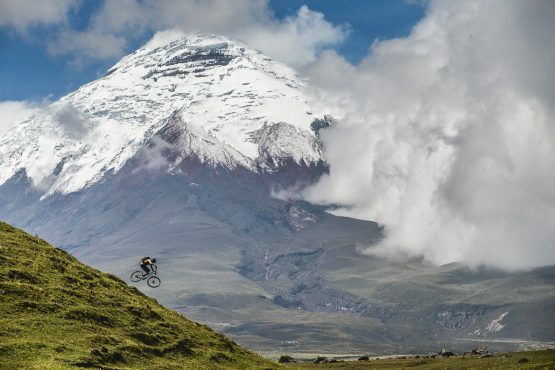 On this mountain bike tour Ecuador you’ll ride on natural trails in the highlands that pre-date the Incas; swoop down the slopes of Cotopaxi; and enjoy flowing singletrack across Andean deserts on this South American mountain bike tour of a lifetime. This 10-day guided mountain biking tour in Ecuador offers you some of the most exhilarating mountain biking in South America. 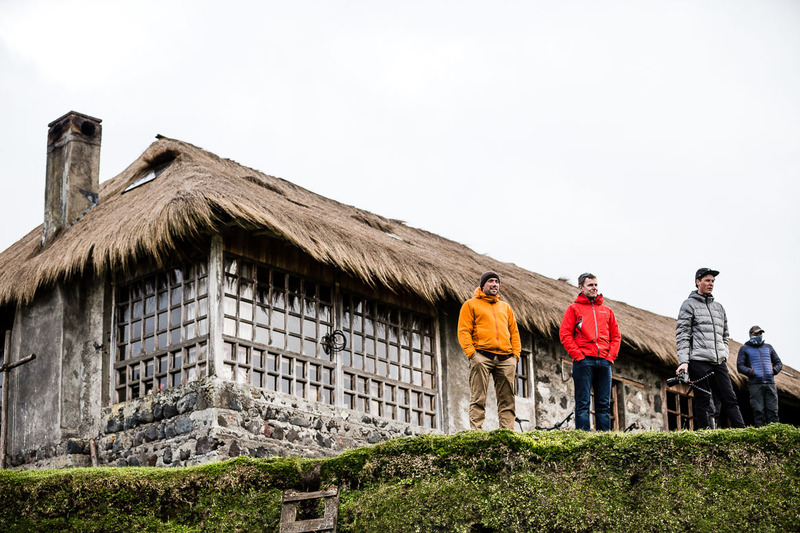 You’ll stay in family-run hotels, and in a traditional working hacienda looking out onto Cotopaxi. 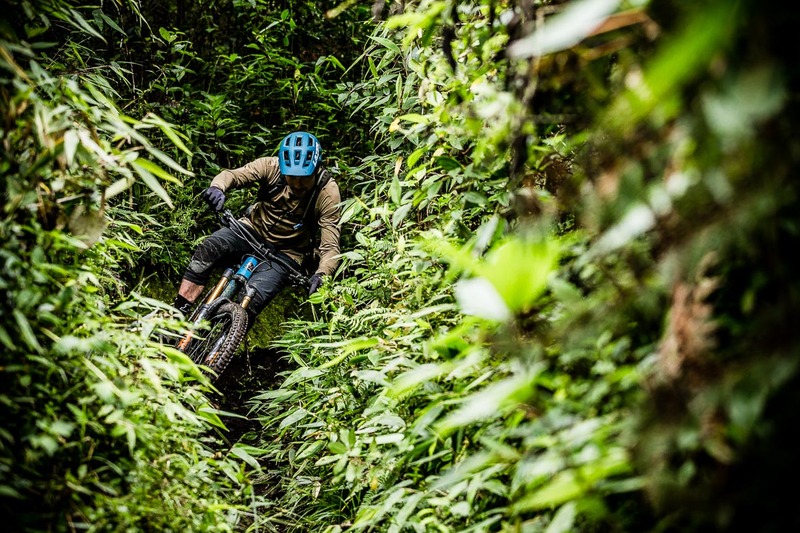 With 46 different eco-systems, 14 active volcanoes, four world heritage sites, and one of the world’s richest bio-diversities, you can be sure of a totally unforgettable mountain bike tour Ecuador. Trying local delicacies, like guinea pig! The itinerary for our 10-day mountain bike tour Ecuador has been designed so that we gain altitude very gradually, allowing your body to acclimatise before gaining further height, thus minimising the potential for altitude sickness. If you’re travelling a long way or across several time zones to Ecuador then we recommend arriving a day or two early to allow your body to adjust and to make sure any flight or luggage delays don’t spoil your trip. With the high altitude of Quito any additional time to acclimatise will be helpful. 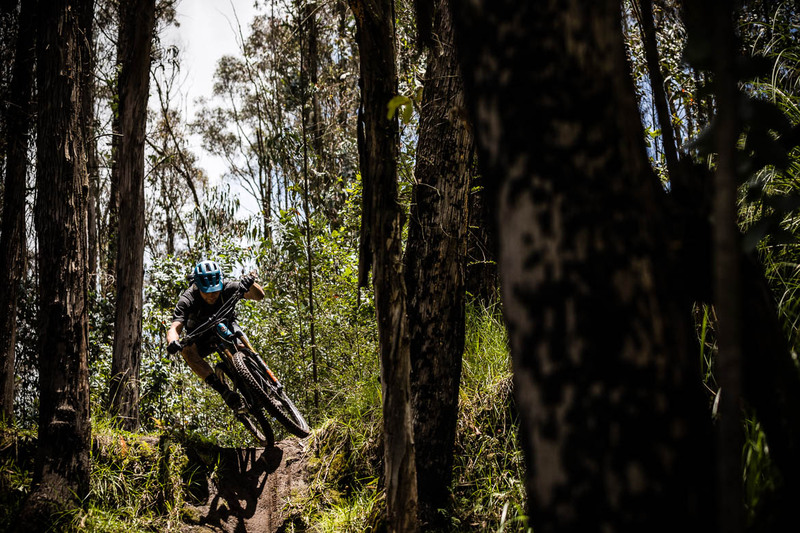 On the first day of your mountain bike tour Ecuador your guide will meet you at your hotel in Quito. 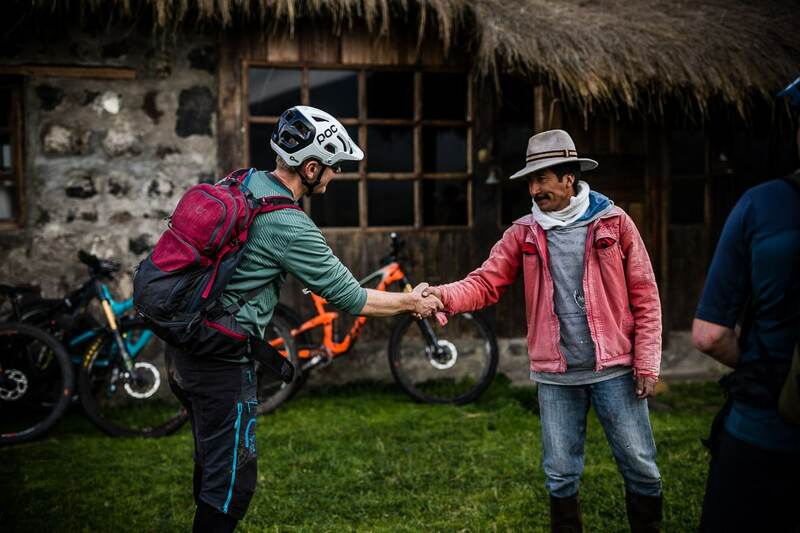 They will help you to assemble bikes or fit your rental bike, before taking you into the Old Town to explore the sights, sounds and smells of this historic city high up in the Andes. We’ll explore the old colonial part of Quito, the first ever UNESCO World Heritage Site and you’ll feel like you have landed straight into a National Geographic magazine shoot. We will also endeavour to visit a selection of local craft markets and artisans to help you get more deeply embedded into this amazing culture. 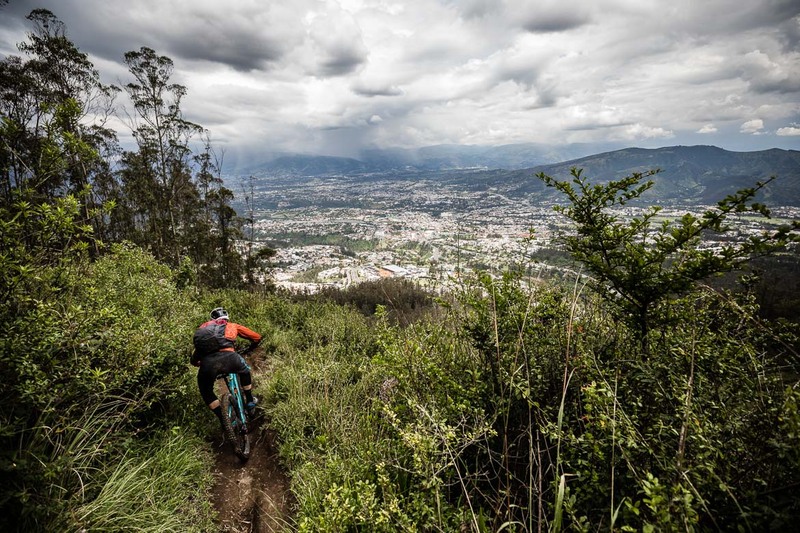 You will start your mountain bike tour Ecuador with some great morning riding around Quito. 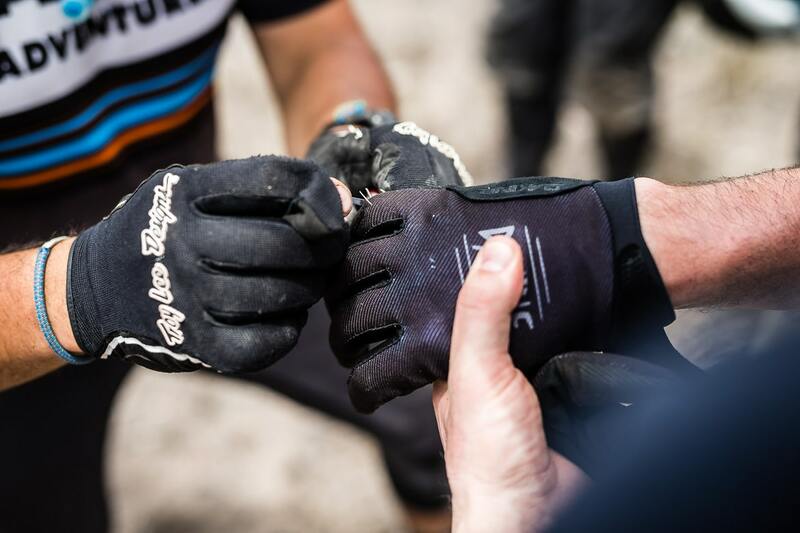 It will see you weaving through winding and narrow singletrack that will give you a taste of what’s to come, warm you up nicely and continue your acclimatisation in preparation for riding high in the Andes. We will then transfer across town, picking up a traditional Ecuadorian lunch on the way. This afternoon’s trail will raise the bar slightly from this morning, as your legs will be starting to feel like they belong to you and you will be dialled into your bike. You will be dropped at a high point in the Lumbisi area of the city where you will embark on some secret local trails built by your guide, that will weave through villages en-route to the valley floor. Dinner tonight will be in a guide’s favourite near your hotel in Quito. Today you will leave central Quito behind and head North to Infernillo, or “Little Hell”. 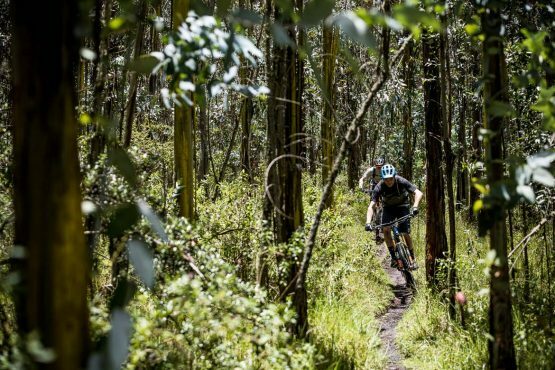 Luckily it’s not as bad as it sounds, and once there we will set off on a fantastic singletrack descent into the large, dominating mouth of the Pululahua volcano. After an hour or so of descending we traverse singletrack until Puluahua spits us out on to el Pondoña trail, then on to the moon trail. These ancient, deep, rutted trails, have been hewn into the earth’s surface after thousands of years’ worth of footsteps, and now they are a delight for us lucky mountain bikers. In total today you will descend from 2,800m high in the Andes, through spectacular cloud forest down to around 1,500m at the foot of the trail. Once we bottom out we have a bit of climbing to do to reach our support crew. It’s not a long climb, but you will feel the effects of riding at altitude today! On the way back to your accommodation we will visit the ‘Middle of the World’ monument, where we can put one foot in each hemisphere, a must-have picture from Ecuador. Once you’ve finished playing around the Equator we will transfer (app. 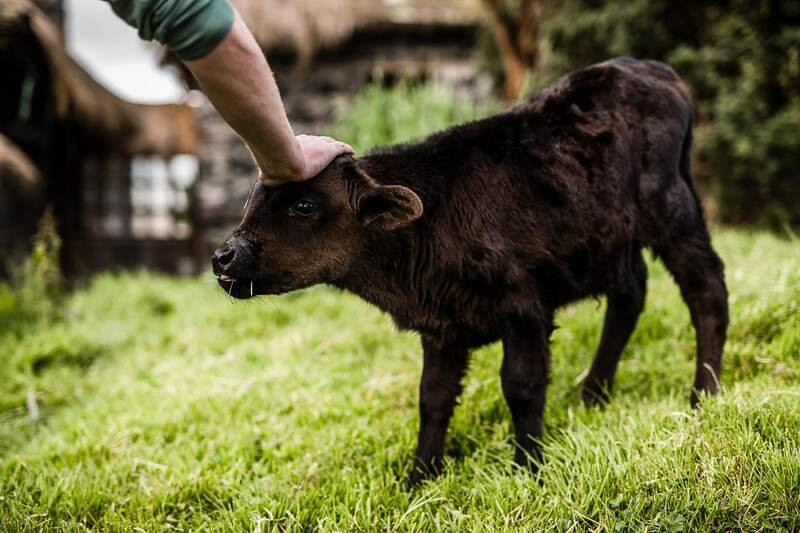 two hours) to the Ibarra region, where you will rest your head in an old working hacienda for the next two nights. 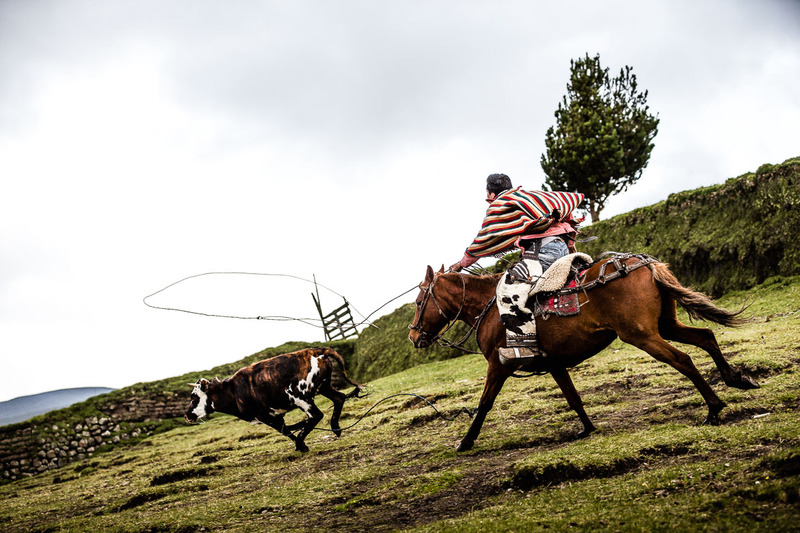 We will spend the next two days riding in the valley of the Chota River in the Imbabura region of northern Ecuador. The native people of the Chota valley are of African descent, having been brought to Ecuador as slaves for the sugar plantations during the Colonial period. This region is dry, dusty and known for its thermal pools, which makes for some great riding conditions and post-ride treat. 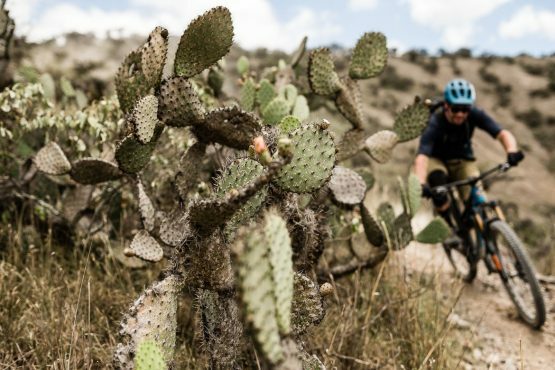 We’ll start off by riding the Chota 2500 from Ibarra to el Chota, descending from 2,600m to 1,600m through incredible Andean desert ecosystems filled with cacti (don’t forget spare tubes!). As we arrive at the bottom of this, mostly downhill, 4 to 5 hours ride, smiling from ear-to-ear and covered in dust, we will venture across the road to our awaiting hot pool and a chance to soak away the day’s dirt. 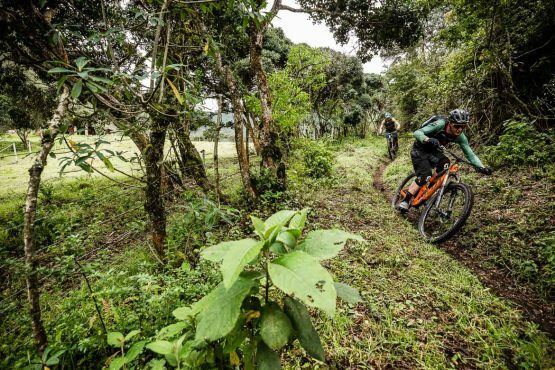 Our second ride in the El Chota region starts with a one-and-a-half-hour climb, for which you’ll be rewarded with a three-hour descent; something characteristic of our mountain biking tour in Ecuador! 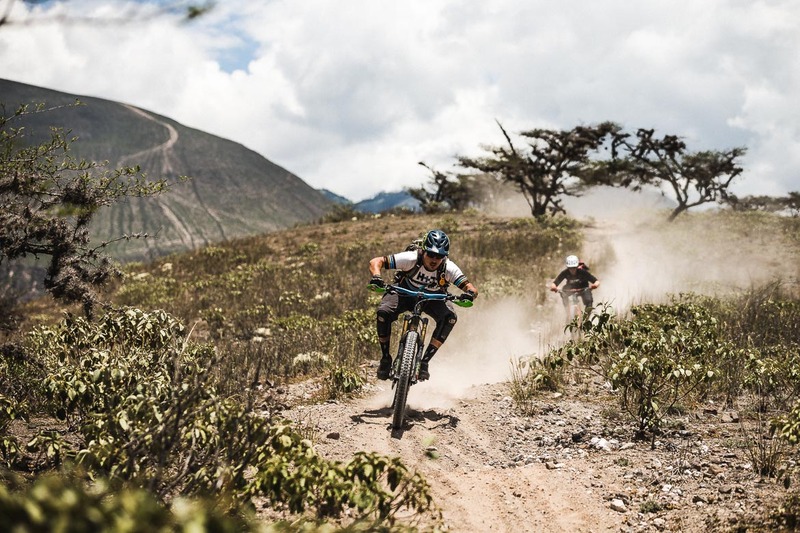 As you reach the top of the main climb you will pass through a small Andean farming village and from there it’s downhill and big smiles all the way. 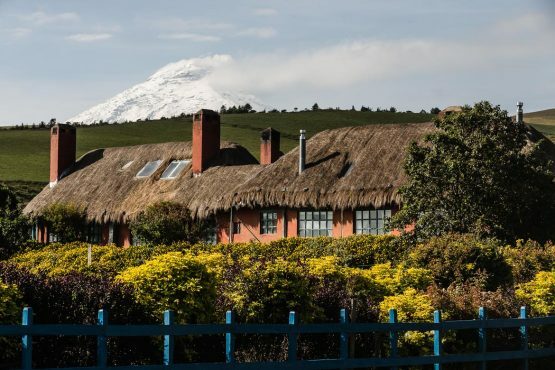 After a delicious Ecuadorian lunch we’ll drive to our accommodation for the next two nights at Hacienda El Porvenir, in the shadow of one of the world’s largest active volcanoes, Cotopaxi. 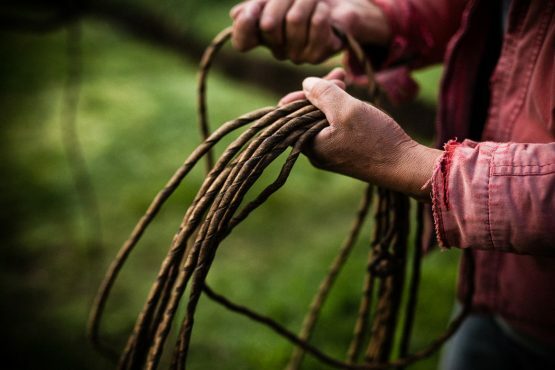 On the way to our hacienda we’ll stop at the world-famous Otavolo market, one of the most important indigenous markets in the Andes selling some of the most sought-after Ecuadorian artisan crafts. 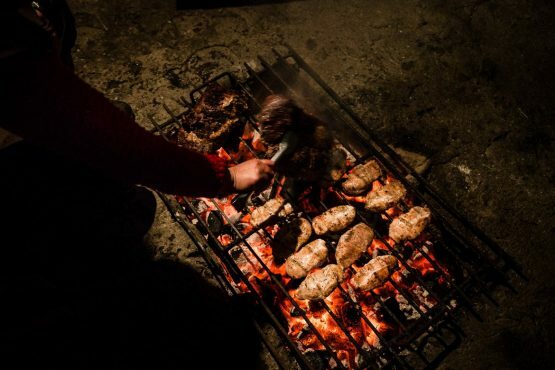 Upon arrival at El Porvenir we will be warmly greeted by the staff who will look after you for the following nights, and in no time you’ll be settled in front of the log fire with a warm canelazo. Today you’ll ride three awesome downhill trails on the slopes of Cotopaxi. The terrain is very steep and consists of volcanic ash, petrified lava, big boulders and sand. The trails descend from 4,600m to 3,900m, and you’ll feel the benefit of the previous days’ acclimatisation to make the most of this truly unique trail in Ecuador. 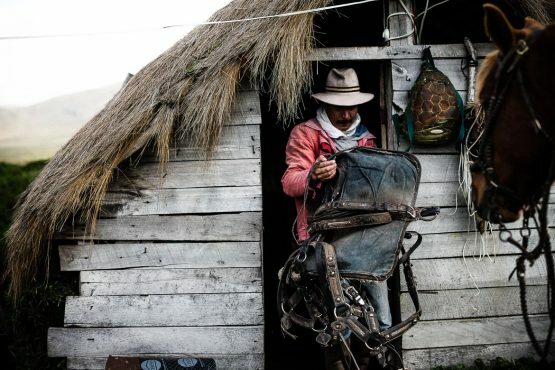 In the afternoon you will have an opportunity to rest the legs and experience the life of the Chagras, Andean cowboys, with a ride on horseback to the slopes of Ruminahui. You’ll also have time to read, take stock and enjoy the tranquility of your mountain retreat. We will once again meet up in the dining room to sample further home cooked cuisine and enjoy another glass of wine. 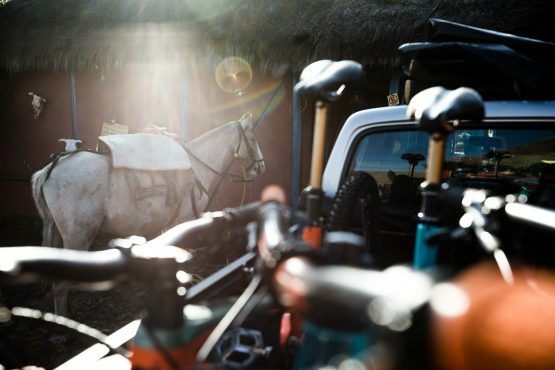 Today we will leave El Porvenir behind, but don’t despair, we will be back in 36 hours after our ride to El Tambo Hacienda; for now we are going off grid… Today’s ride will cover 40km with an average altitude of 3800m, but it’s definitely worth the effort! 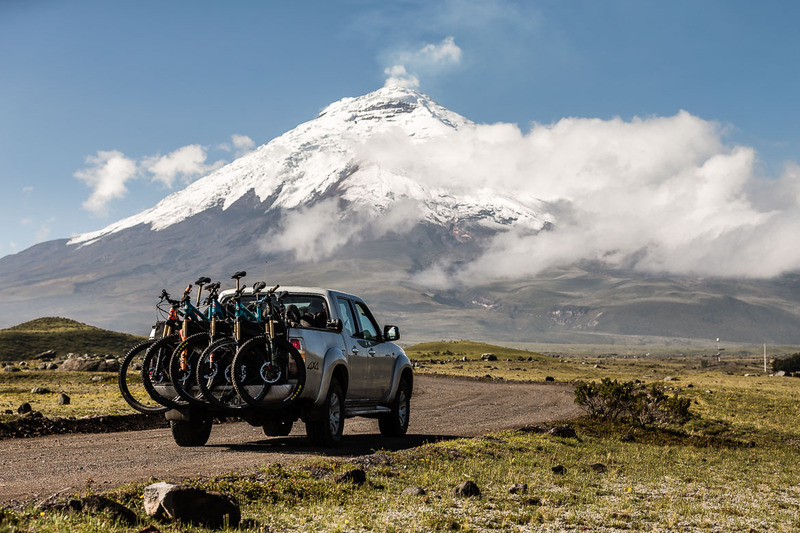 We’ll bike along the eastern side of Cotopaxi National Park, taking in Inca ruins, fresh water springs and Andean lakes along the way, until we reach El Tambo trail. This is an 18km trail exclusively for mountain bikers and boasts some of the best views in the area. We’ll take a break at a particularly panoramic spot and enjoy our packed lunch. 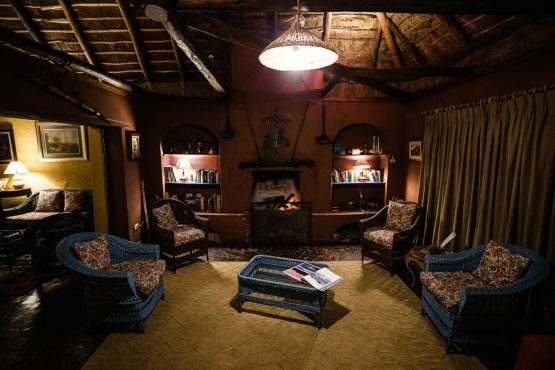 Our destination for today is our next fabulous accommodation, El Tambo Hacienda, where we will be welcomed with a hot shower and drink next to a crackling fire place, followed by a mouth-watering dinner or BBQ under the stars. We’ll rise early and enjoy another delicious hacienda breakfast before starting on our route back to civilisation. The first 20km tends towards the uphill and you’ll dig in for some short climbing sections. Once we reach El Encañonado, the trail flows downhill and you can roll your bike easily without too much physical effort! At the end of this descent we’ll have lunch, then start with another climb to El Canal trail, a flat route following irrigation channels. The views here are superb, and as we pedal back to Hacienda El Porvenir we’ll pass by the beautiful Limpiopungo Lake. On arriving back at El Porvenir we will enjoy a refreshing hot shower at our home-from-home. We’ll have a few drinks and another fabulous dinner, before hitting the hay feeling thoroughly satisfied. 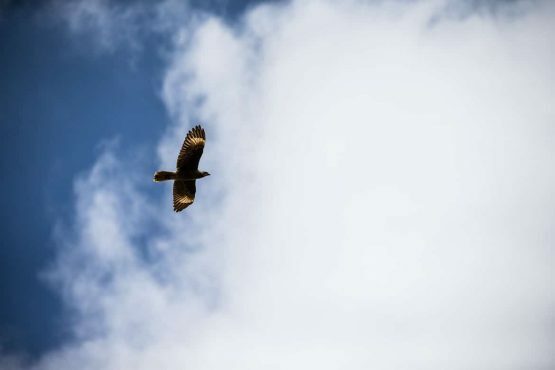 Today we depart early in the morning from your accommodation in the stunning El Porvenir and drive towards one of the most impressive natural locations in Ecuador, Quilotoa Lagoon. 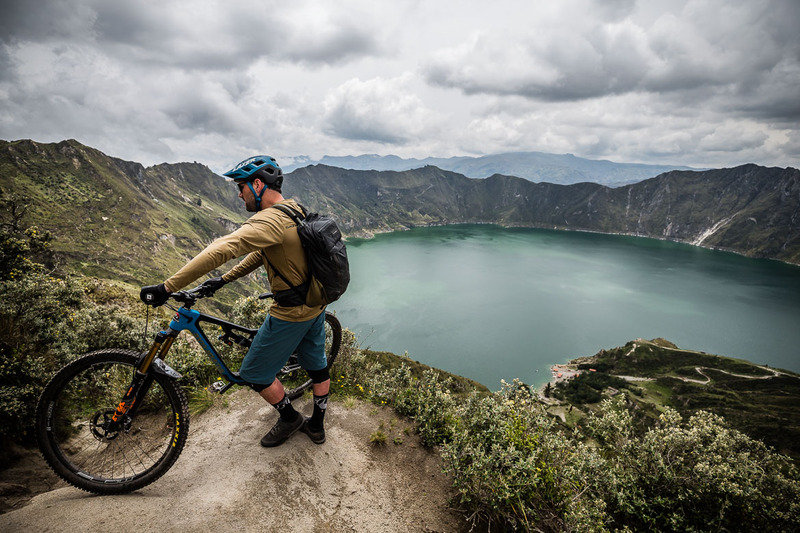 When we get to the Lagoon we will start our ride on the rim of the volcanic crater, navigating our way along the steep sided ridge, before descending towards the Palo Alto community. 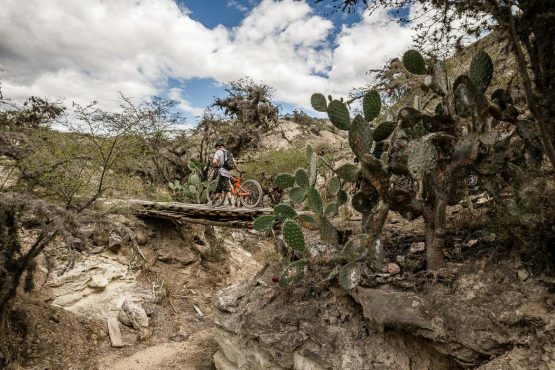 The riding is on beautiful singletrack, that will see you weaving around the crop fields of the local communities, trails linking villages and natural river beds. En-route back to El Porvenir we’ll stop off for a second ride, 100% descent on a flowing technical trail that will lead us to waiting beers. 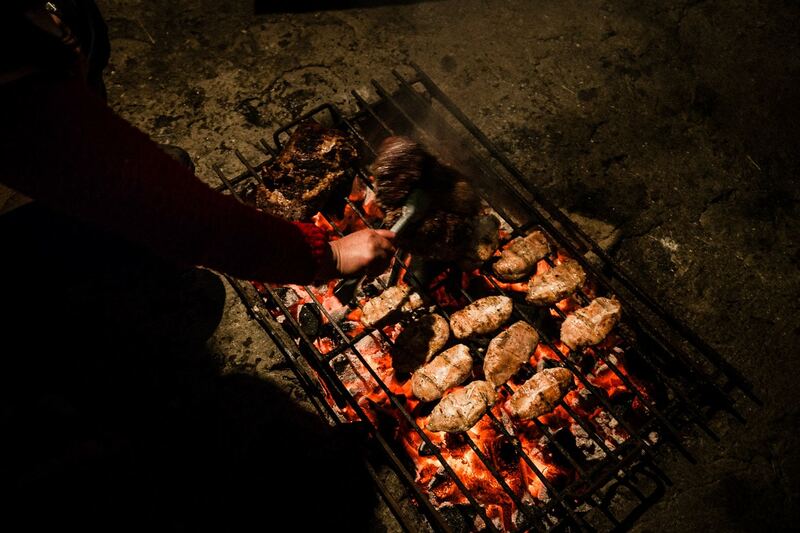 As this is our last night together we’ll have a celebratory dinner in front of the fire in El Porvenir. Sadly this is our last morning together but we’ll transfer you back to Quito airport, where we will say farewell to new friends and to Ecuador. 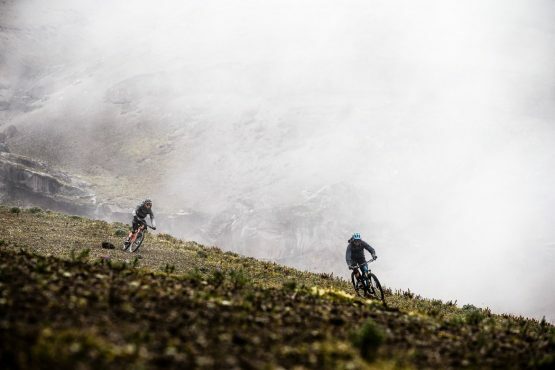 Please note: Our mountain bike tour Ecuador is a living thing, being influenced by multiple factors such as changing weather conditions, group riding abilities, trail damage, to name a few. 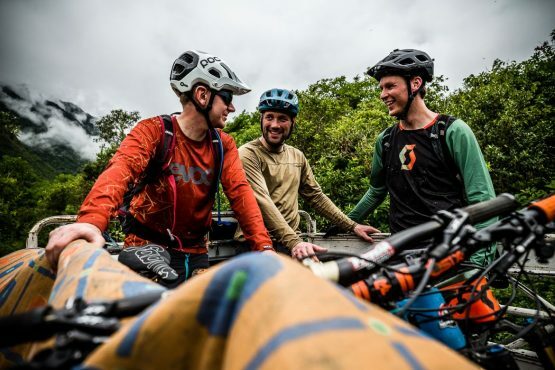 Your local guides are experts in guiding mountain bikers in the Andes of Ecuador and will be continually assessing these factors and making tweaks to the itinerary where necessary to ensure that every member of the group has the best possible experience. 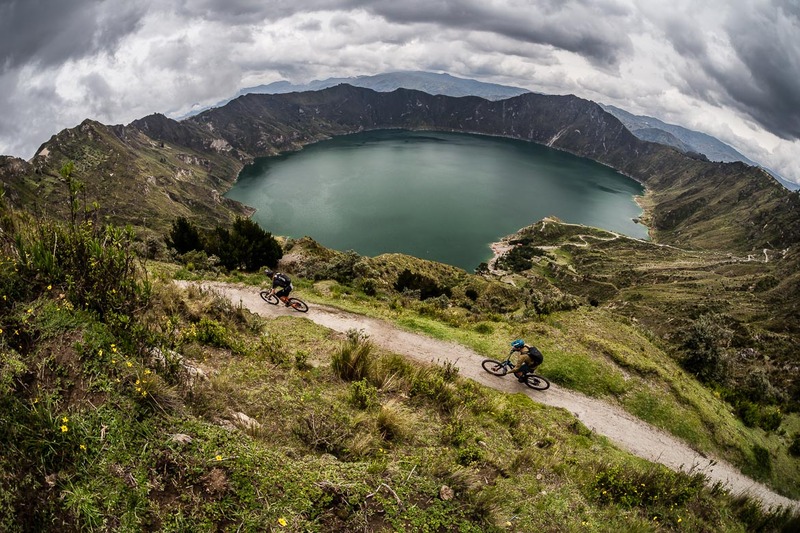 Your mountain bike tour Ecuador will start and end in Quito. We advise arriving in Quito a day or two before the tour start date, to adjust to local time and start acclimatising to the altitude. If you are arriving prior to the tour start date, your guide will meet you at your H+I recommended hotel in Quito Old Town on day 1 of your adventure. 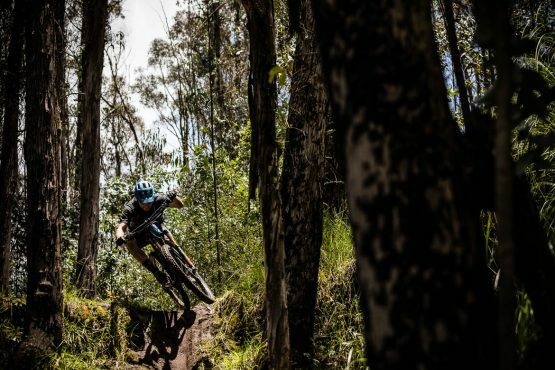 We have created this handy guide to spending 24 hours in Quito before the start of your mountain bike tour Ecuador. 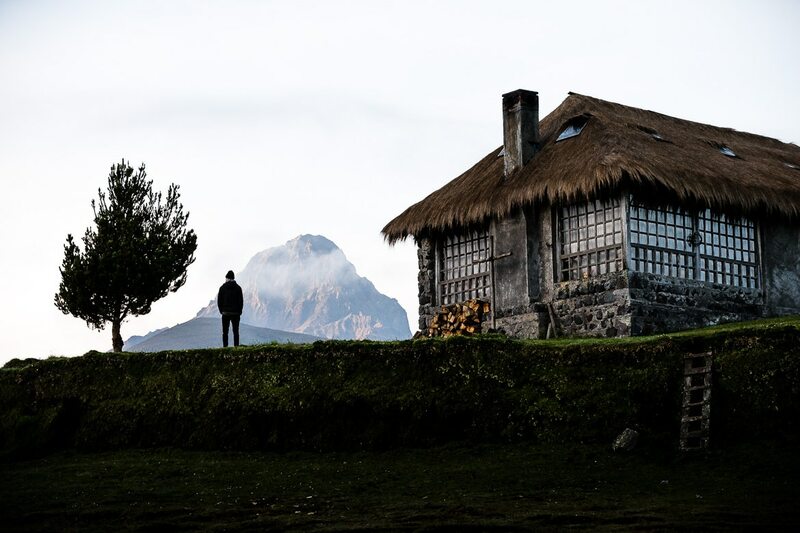 On the last day of your adventure we will transfer you back to Quito airport for your flight home, and would ask you to book your return flight departing no earlier than 2pm on the last day. Quito airport is well-served by major airlines from all over the world. If you’re flying from the UK or Europe KLM have a direct flight from Amsterdam to Quito, which is very handy! For up-to-date timetables and booking visit: www.ba.com; www.aa.com; www.iberia.com; www.united.com. You must book your bike on to your flight in advance, otherwise you could face a heavy charge at the airport. Here are some handy tips and video on how to pack your bike for travel. You do not need a visa to visit Ecuador for up to 90 days, you just need a passport that is valid for at least six months after your return from Ecuador. Please read the full kit list before you start packing for your mountain bike tour in Ecuador, so that you have everything you need! Our mountain bike tour Ecuador is for advanced mountain bikers with level 4 fitness. The ideal bike for your mountain bike tour Ecuador is a good quality full-suspension mountain bike with around 150mm of travel. 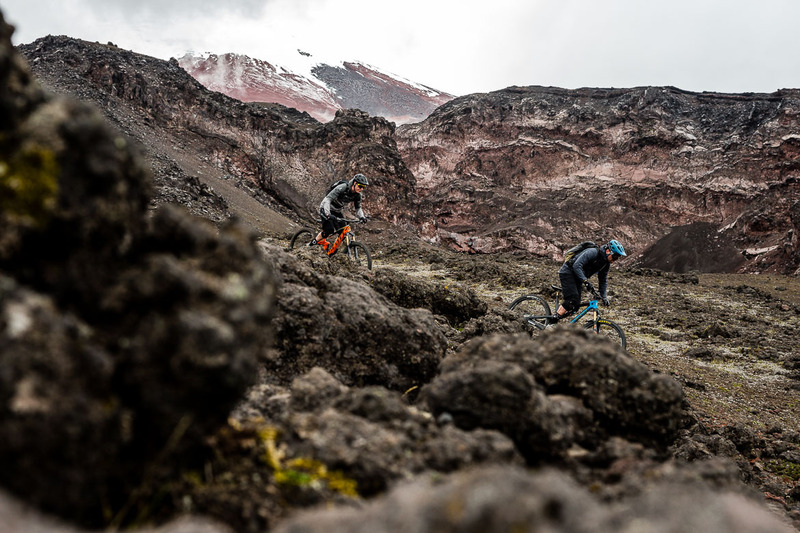 To get the most out of your mountain bike tour Ecuador you should do plenty of training in advance of your tour, and we have put together this great training plan to help you on your way. 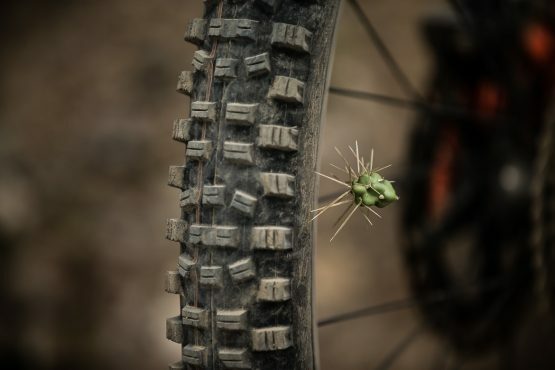 It is essential that, if you’re bringing your own bike, you ensure that it has been professionally serviced, including all suspension, before the trip. If you would prefer we can arrange rental of a good quality full suspension mountain bike (Ibis Mojo carbon or similar, depending on size required and availability) for you, and have the bike ready for your arrival. We will be riding at high altitudes on our mountain bike tour Ecuador, and if you have never experienced mountain biking at altitude before you may be interested in some useful advice on how to cope with the effects of altitude. Our local mountain bike guides in Ecuador are professional and experts at guiding bikers on their local trails. They are qualified in first-aid, and have the knowledge and experience to lead a group safely in these remote, wild parts of Ecuador. Our mountain bike guides have years of experience in the saddle on the Ecuadorian trails and will enhance your holiday with facts and fables on local history, flora and fauna. 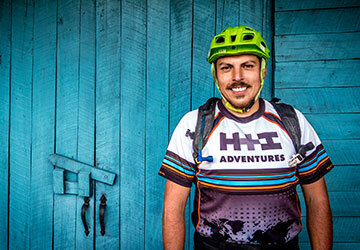 They’re also genuinely nice people and will go the extra mile to make sure that everyone has an unforgettable experience on our mountain bike tour Ecuador. the saddle, you want a warm welcome, wash and a comfortable place to relax and unwind – because that’s exactly what we’re looking for too. This is why we only work with accommodation providers across Ecuador whose standards of service match our own high expectations. During your time in Ecuador you will be staying in a wide variety of accommodation from a large hotel in Quito to traditional hill cottages (haciendas). You should always consult your own doctor or physician before travelling to new countries to seek their advice on matters concerning your health abroad. Your health and safety is on tour our top priority so when you travel with us you also have the peace of mind knowing that you will be covered by Global Rescue emergency medical and evacuation services. The official currency of Ecuador is US Dollars. Money can be exchanged at any of the banks and money exchange kiosks in major cities or tourist areas. ATMs are accessible in the larger cities in Ecuador. Major credit cards such as Mastercard and Visa are accepted at large hotels, shops, and restaurants in larger cities and in some rural hotels. Keep in mind that the further from civilisation you go, the less likely you’ll be able to exchange or withdraw money from an ATM, so carry cash when you go into the wilderness. American Express Travellers Cheques are widely accepted at most major banks and money kiosks. 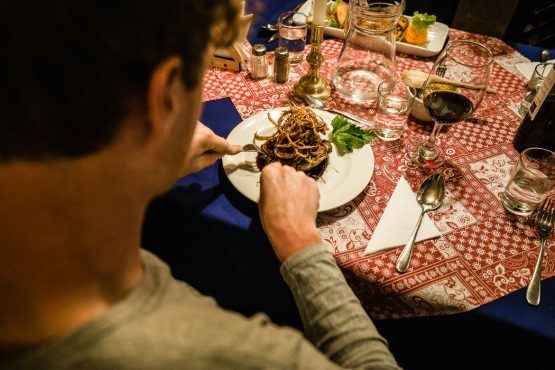 It is not compulsory to tip your waiting staff or guides in Ecuador, however if you feel you have received good service and have enjoyed your trip you can tip at your discretion: 10% – 15% of the cost of your meal, or your holiday price (for one person), as appropriate. Please note: if you have arranged your own holiday insurance, you must bring a copy of your policy with you on your mountain bike tour Ecuador with us. 40th birthday adventure in Ecuador! Completely blown away from start to finish! The sights, culture, people, food, etc... Then we started riding bikes and I cannot even explain how amazing and challenging the terrain is. Our guide Jose and our driver Victor are both awesome and made sure we had the most incredible experience possible. I can't recommend H+I more. My buddies and I were absolutely speechless on multiple occasions. We are already planning our next trip with H+I, can't wait!!! Ecuador...my 5th H+I Adventure! This is a trip where you get to really embrace the culture and people of Ecuador. José and Andres were great guides and Victor/driver/outstanding utility man. They were all very fun, happy to share their country in all aspects...riding, stopping for local food, markets, and other experiences along the way...the children who love to run to greet you...love chocolate...just sayin’. José, Andres and Victor care deeply for their country and the environment. On this tour, it is important to relax and go with the flow, things can move at a slower pace, but patience is good because when you start flying down from 15K on deep volcanic soil...you may wish for some slow motion so you you can take in every minute before arriving at the bottom wishing to fly back up to do it again! This trip has a lot of downhill aspects but don’t be fooled...traversing across what seems to be flat is augmented by very high altitude...you will hear your heart beating :). There were some beautiful views, lovely animals...Alpacas, Llamas and Toros everywhere. 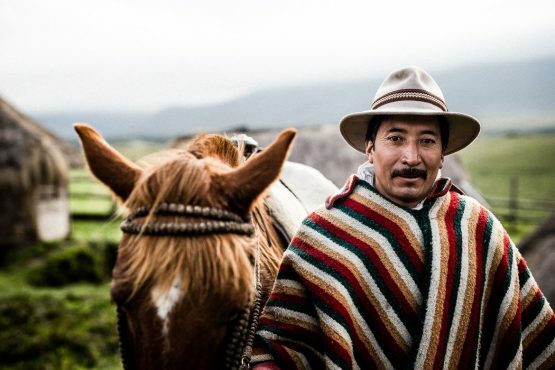 I loved the Ecuadorin people. Food was delicious! Once again, made some new fantastic friends, lots of fun and laughter! Loved the horseback riding too even though it was raining! I got a lovely taste of a country I am not yet finished exploring. Get out there! This trip has the perfect balance of challenging terrain and flat out fun. The food and accommodations are first rate. Our guide was the best and enhanced every part of the trip. If flying full speed down the side of a volcano doesn't put a smile on your face then there's something wrong with you. Simply fantastic! My third trip with the H+I team and once again they more than delivered on every element. The organisation, the accommodation, the food, the guides and most importantly the trails......oh the trails! How long were those descents??? So much fun and so much variation. The scenery was simply stunning and the itinerary allowed perfectly for acclimatisation to the altitude. Phenomenal. Special thanks also to all our guides and driver, you know who you are. What a beautiful country! I will be back. An awesome trip in a country of various very beautiful landscapes, great rides - several times very technical 🙂 -, amazing people to meet, good food, full of so many different impressions ... Sooner or later I have to return to that place! I can only reiterate what the previous comments have said about this trip. It's a must do trip for any budding mountain biker who's looking for adventure and challenging trails in an amazing country. It will be an experience you will not forget ! 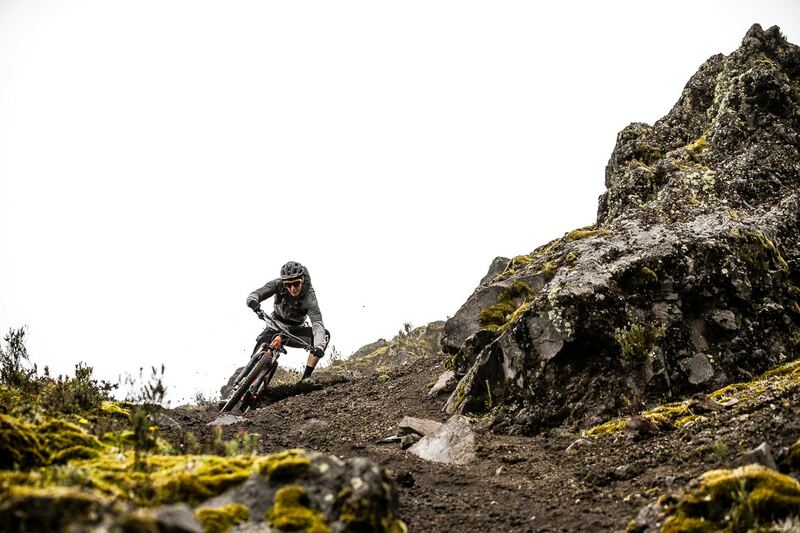 Amazing trip and perfect trails at the very beautifull country Ecuador. 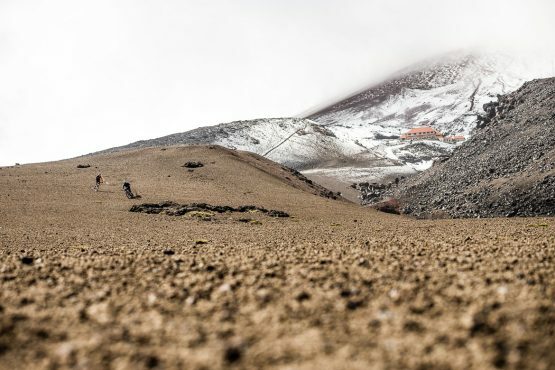 Unbelivable how different the trails are: form jungle trails to sandy trails at desert area, up to Highlands and downhills at the slope of Cotopaxi. Perfect bike trip with lots of culture and gorgeous landscape!!!! megarides...without too long uphills. you will be happy to ride volcanoes and in the jungle. The Ecuador Trip was just brilliant. One of the best things a mountain biker can do, especially in November. Trails as diverse as the landscape. And simply just perfect fun. Breathtaking, not only because of the height, but as well because of the amazing sceneries. I absolutely enjoyed every day out there. 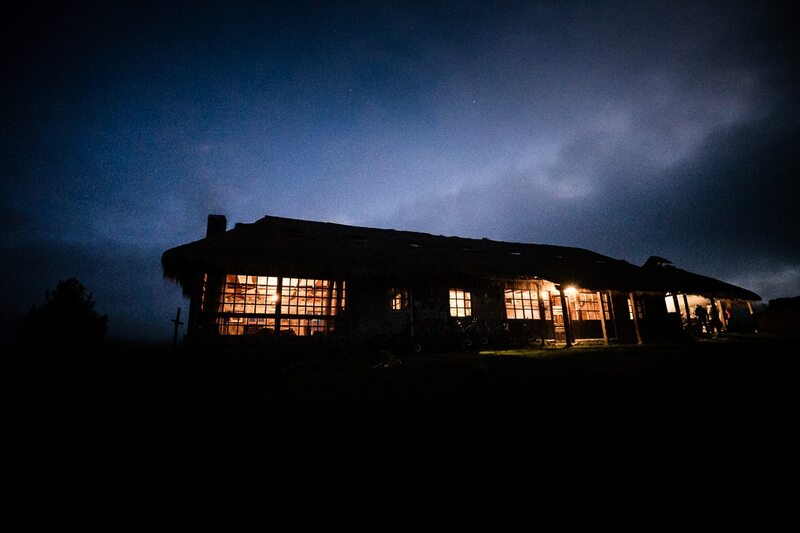 The overnights in pretty, traditional Haciendas and good local food complete an excellent trip in the Andes. We only run small group adventures to ensure that everyone has the best experience possible, and there will generally be between six and ten people in each group. The minimum number of people we require to run a trip is four. What’s the age range of people who come on this holiday? Our mountain bike tour Ecuador caters for a wide age range; typically between 30- and 55-years-old, but age is simply a state of mind, as they say, and we welcome anyone over the age of 18! 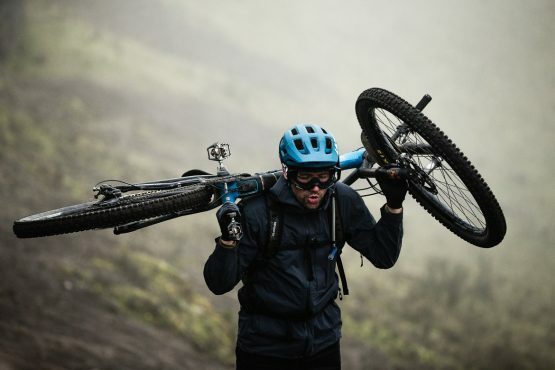 As long as you have a good level of physical fitness and good bike handling skills you will enjoy this mountain bike tour no matter what your age. 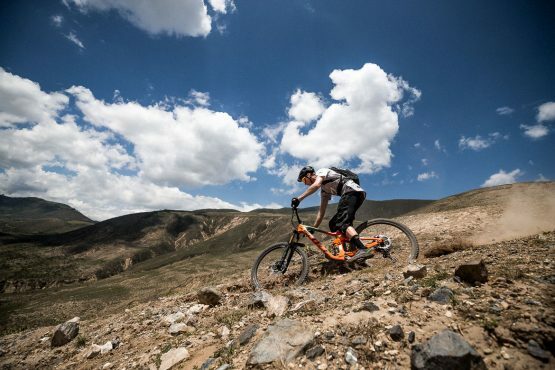 This mountain bike tour Ecuador is a guided mountain bike tour, ideal for advanced mountain bikers. Riding here, amongst the world’s highest active volcanoes, you’ll experience a few tough climbs (largely because of the altitude) and steep, fast descents, as well as some lovely flowing singletrack through a huge diversity of landscapes and eco-systems. 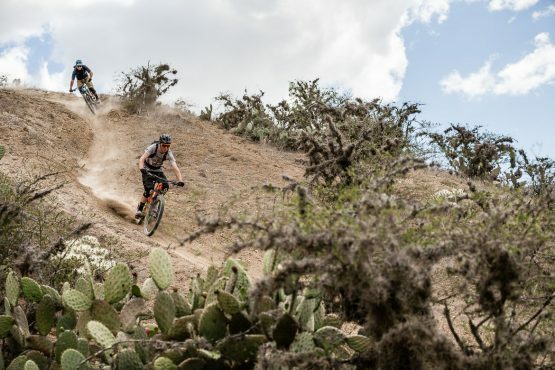 Altitude is a factor in this trip and we have some tips for riding at high altitudes and managing the effects of altitude. The distances we cover each day range from 15km to 50km, in accordance with the altitude and height gain/ loss on each stage. We will gain height gradually over the course of the trip to ensure that your body becomes accustomed to the increased altitude. 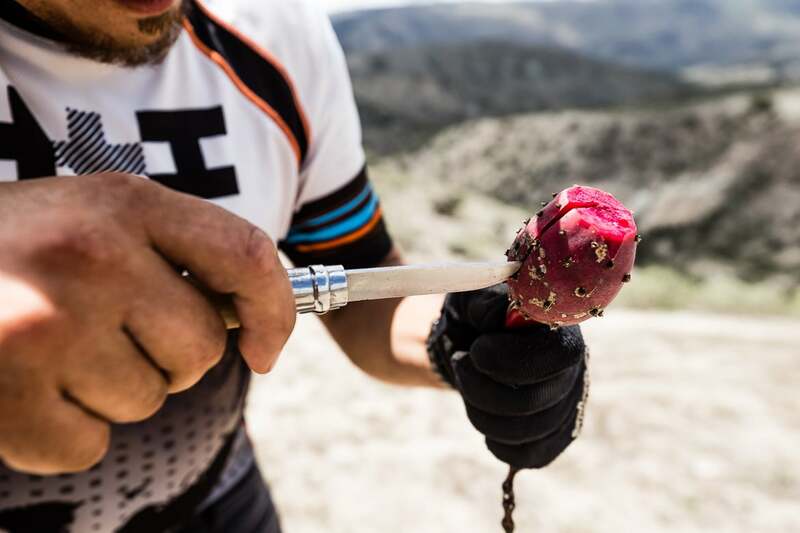 Each evening your guides will chat with you about the following day’s mountain biking and give you an idea of the sorts of trails you can look forward to. If there’s anything you feel anxious about, your guides will be happy to discuss it with you. 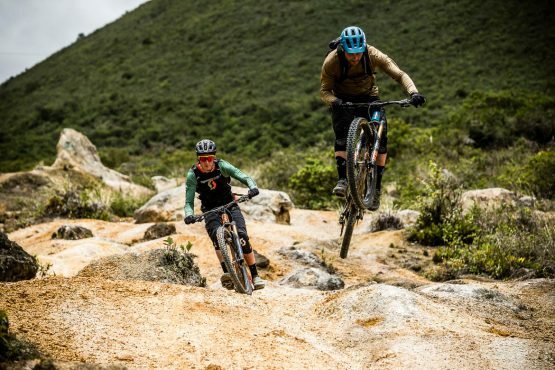 Your guide will be very happy to give you some bike skills training during your trip to help improve your confidence and your enjoyment of your mountain bike tour Ecuador. 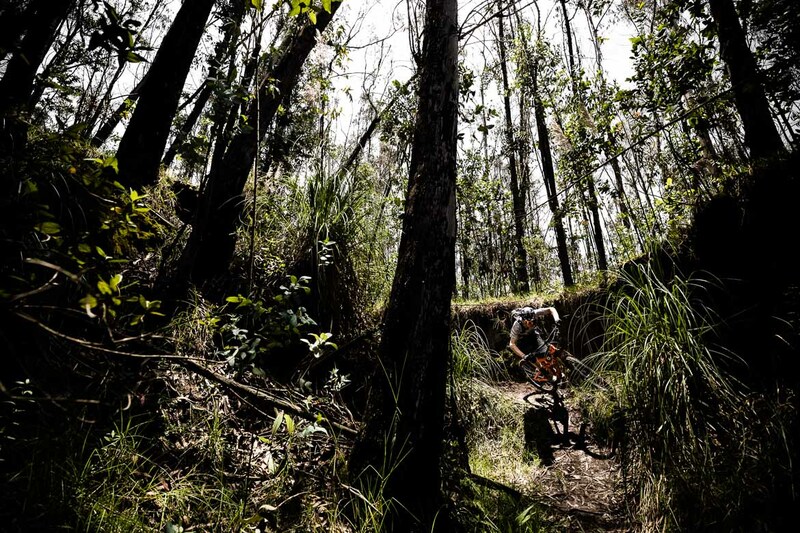 If there is a section that you would prefer not to ride, then you can simply hop off your bike and walk. You won’t be the only one to walk certain sections and it’s not a competition in biking ability; it’s a mountain bike holiday! Your mountain bike guides are local to this region of Ecuador and experienced professionals who have a real passion for mountain biking and for the culture and landscape of Ecuador. Your safety is their number one priority, closely followed by your enjoyment of the tour. They will always be on-hand to answer any questions or requests you may have throughout your trip. On this mountain bike tour Ecuador you’ll spend five nights in traditional working haciendas (ranch) and you will also stay in 3- and 4-star local hotels and guest houses. At the haciendas you’ll have the chance to learn about the reforestation project going on in the area. All breakfasts and lunches, and the final night dinner are included in the tour price. Other evening meals are at your own expense. A good quality full suspension mountain bike with 150mm travel front and rear will be ideal for this mountain bike tour Ecuador. 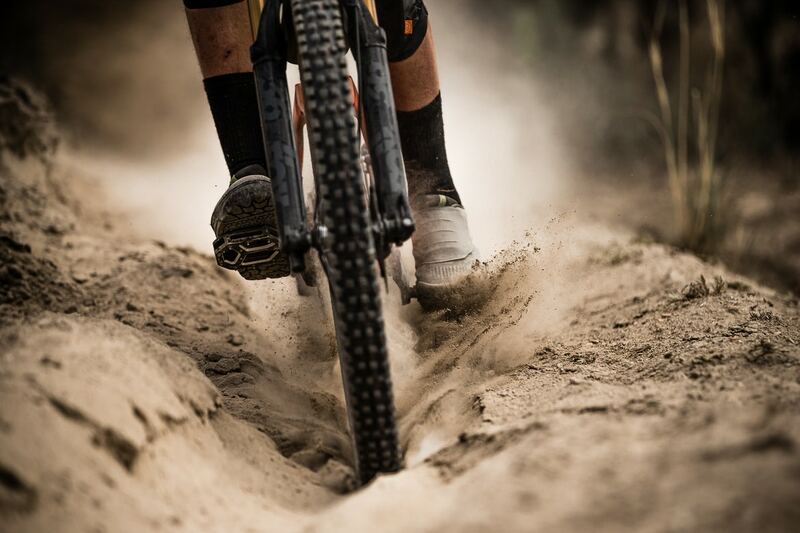 The terrain you will be riding is rough in places and you’ll be doing lots of descending throughout the week. 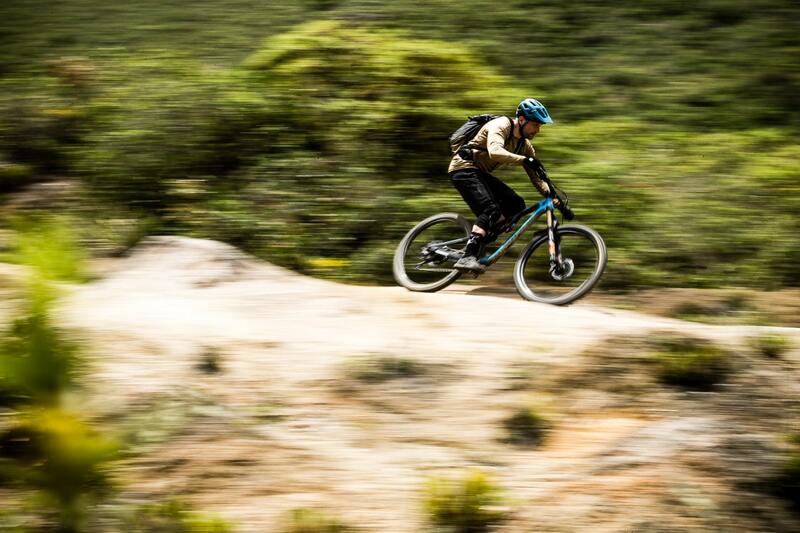 We can arrange hire of an Ibis Mojo Carbon bike in Ecuador for the trip. If you wish to bring your own bike (recommended) we have some tips and video on how to pack your bike for travel. Q. What will the weather be like in Ecuador? 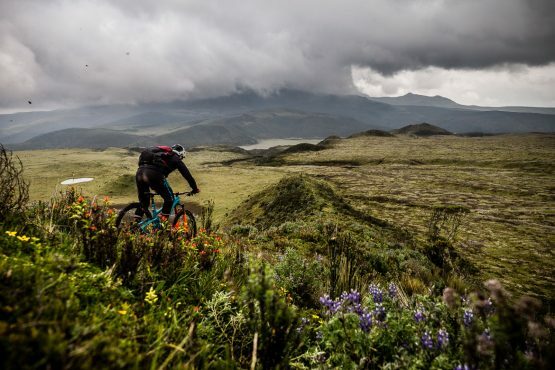 The weather during our mountain bike tour Ecuador has many different climates and micro-climates, and in the regions we’ll be visiting on our mountain bike tour temperatures can range from 6C/42F to 25C/77F. It’s likely that you’ll experience bright sunshine, as well as some rain and damp, overcast days, so you should bring plenty of layers and a waterproof jacket with you for riding. You must make sure that you have plenty of layers of breathable clothing to ensure that you are always warm enough and can remove a layer if you get too hot, and you should bring a waterproof jacket. You should also bring cycling shorts/trousers, gloves, padded undershorts, specific shoes for cycling, sun cream, insect spray, and Advil or Ibuprofen. 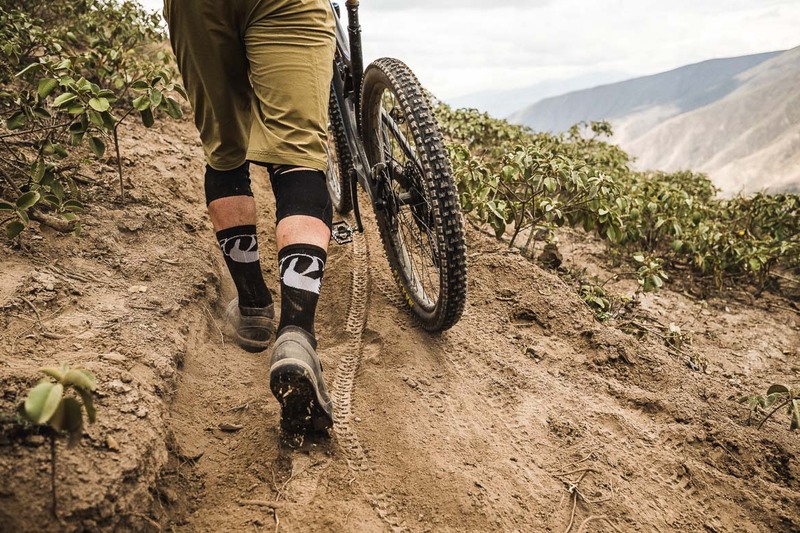 Read the full kit list to find out what you need to pack for your mountain bike tour Ecuador.